With almost 50 years of tube making experience, LAGEENTUBES uses the highest-quality tube making equipment, for the best efficiency, reliability and control. 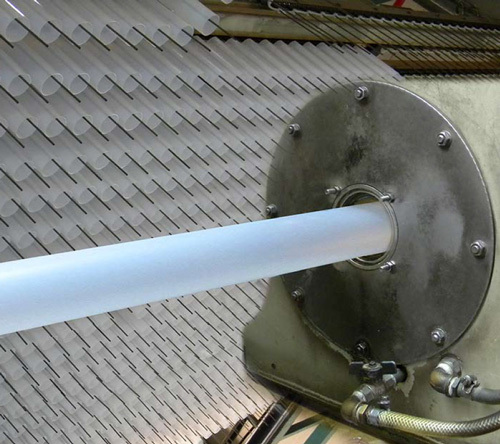 The extruded tubes are manufactured, printed and capped in-line. Special decorations such as silk screen printing and hot stamping are done in a secondary process to achieve better flexibility allowing different SKUs when using the same tube specs. Mono-layer, including LLDPE, LDPE, HDPE or a mixture of these materials. Multi-layer, including co-extruded 2 layer sleeve for special color effects or co-extruded 5 layer with EVOH for high barrier. The tubes are available in white, transparent or color-matched to the customer’s request. Advanced in-house technologies provide customers with a large choice of tube decoration capabilities, such as offset, flexography, silk screening, and hot stamping.